The car did multiple round trips between El Paso, TX and Modesto, CA on this setup. Currently torn down. Kjet removed. Plans coming together. Air conditioning. Maybe something aftermarket. Gotta research. So we put this together (shout out to ryanfay for pulling the short block and dropping it off at my friend's house while I was gone). Only issue I'm having is the oil pressure isn't ideal. 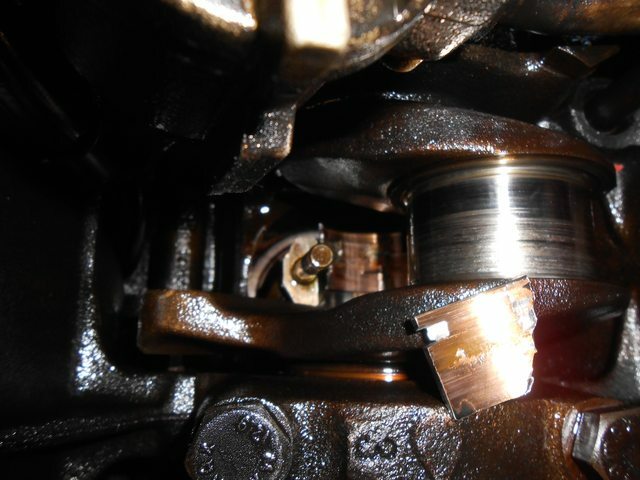 Used an aftermarket oil pump so I'm thinking I need to go back to OEM. 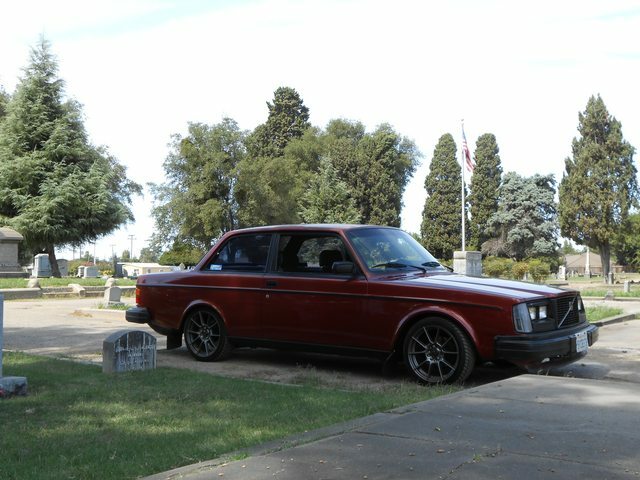 I'm not chasing numbers with this car, and I plan on keeping it for as long as possible. 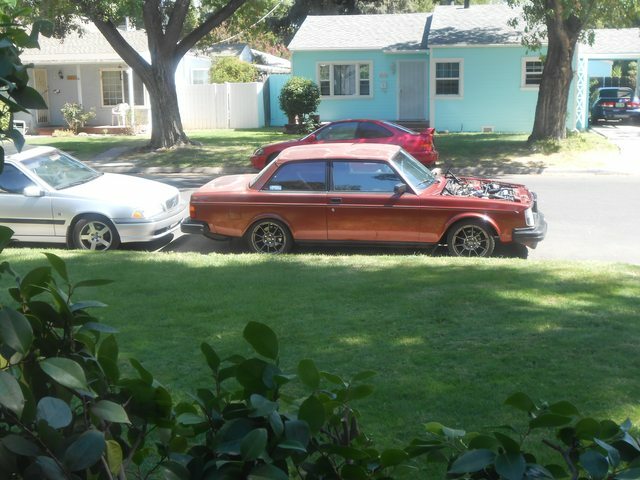 I love it, it was the first car I ever got, and My ex-wife hates it so I want to pick my daughter up in it for yuks I love 242's, especially this one that has so many memories attached to it. Here goes the rest of it's adventure. The complete Kjet system is for sale. Last edited by BR1CKHOUS3; 04-05-2018 at 12:18 AM..
Last edited by BR1CKHOUS3; 07-09-2017 at 10:51 PM..
Get an ebay 50 or 57 trim and an ATP ultimate wastegate housing for it. You won't regret the upgrade. Damn, that is a nice place to start man! 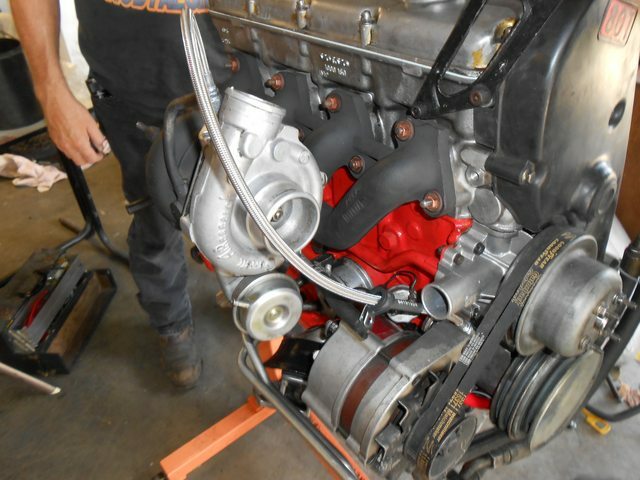 Turbo cars never got the 71L in them, only the 940 NA's. Easy swap though if you find a nice low mileage one. Got a spare 150k one sitting in the garage waiting for mine to go out. The 19T isn't bad, but the exhaust is a bit restrictive compared to the cold side. A T3 may be a little better fit for more grunt. Some of them can be had for pretty cheap. TruTrac the D30, T5 it, should be GTG. 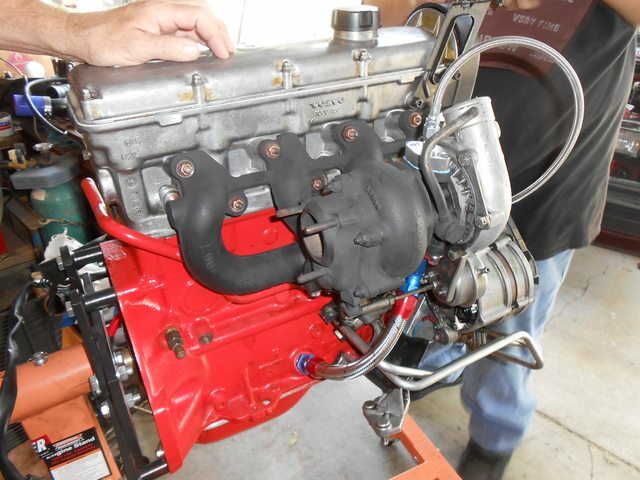 So the K jet system is coming out of the engine bay this weekend. Gotta choose my fuel supply setup before I move forward (walbro 250?) The only reason I chose 19t is that I have a 19t compressor wheel and housing upgrade laying around. Isn't the stock Air Research turbo basically a T3? Not sure if I'll pursue the T56/8.8, but my propensity to "hoon" might end up requiring more substantial stuff. Tru-tracs have finally become affordable so I suppose I should look at them more closely. Pic because posts need pics. Fun fact: that S70 parked behind me is actually an 850 and my Dad is just an amazing bodyman. Since 240's don't have hood hinges that go vertical, the hood comes off for major work around here. Since 240's don't have hood hinges that go vertical, the hood comes off for major work around here. Hey, sent you a few texts, never heard back. 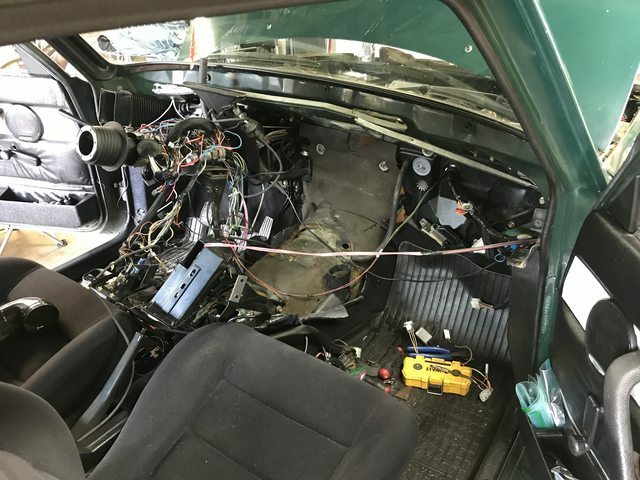 You still looking for black interior bits? Mine only does that when it's aroused. I have a set of hinges that does that for some reason. One time the wind caught my hood hood which flung it up and bent the corners. That's a nice color. 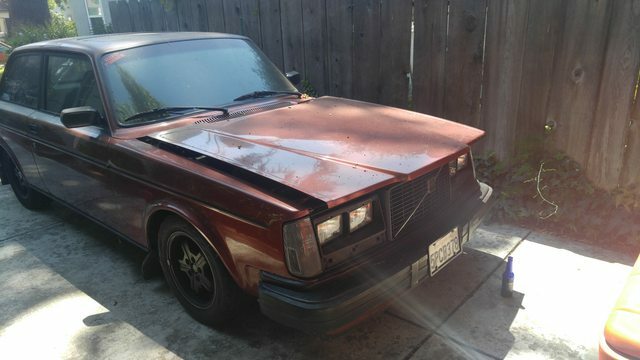 I've got an '81 GLT junker the same. I did a thing. The hood goes nearly vertical, but it sit like 3" forward when I disconnect those clips. Car is on Virgos, not sure I'll be able to save the Comp Lite's as they're pretty rough. 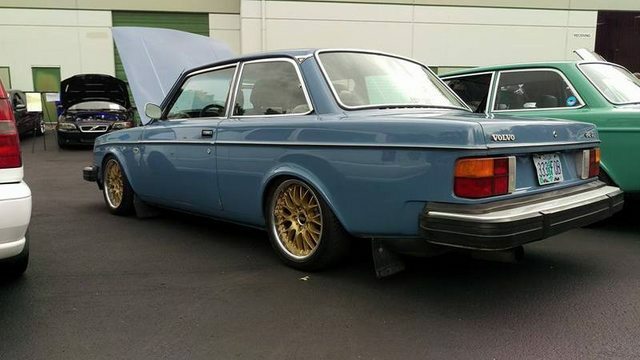 I have a set of S40 R design 17's to put on the 740 so the Azevs can go on the 242. Kjet coming out slowly. Any suggestions on a place that can restore my seats? I'm willing to ship them if the work is up to par. What are you doing? you can bend the ears back on the hood hinges. Bending them allows you to have the hood straight up. That's great! I am surprised the guys around here don't know this! 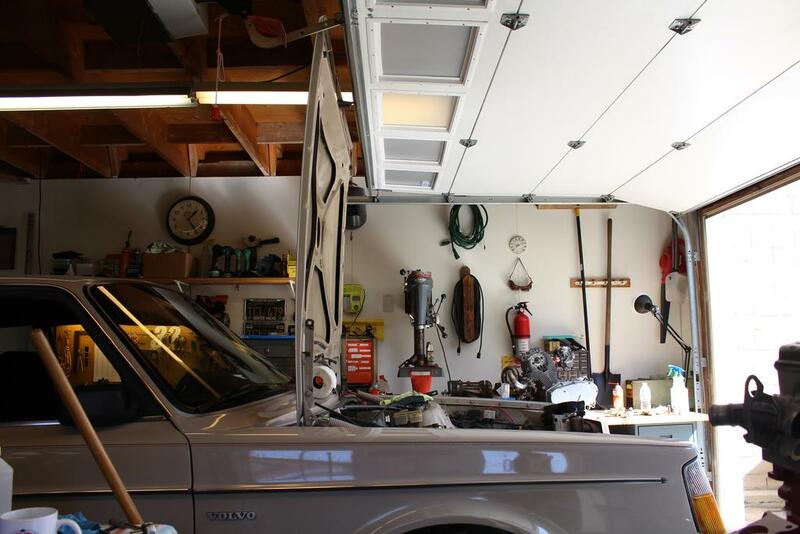 Sounds like you and I have similar goal for our cars, and my build sheet is pretty similar. I like to think of mine as an early "GT" car. 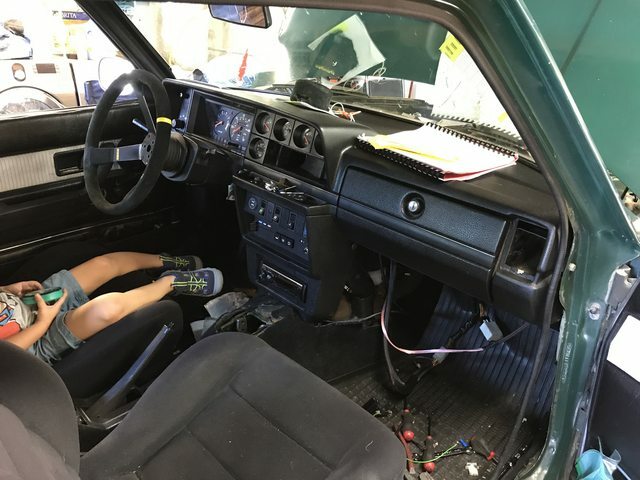 I am putting the finishing touches installing a 93 240 R134 system in my 1980, truthfully it wasn't too bad, and I was able to have the whole system bolted in the car in less than 12 hours in the garage, including full dash R/R for the blower assembly. I pulled the complete system (take the firewall plate if you ever decide to go this route) for $150 ish from PnP.